Bhopal, Feb 9: Congress chief Rahul Gandhi Friday mocked the Modi government for announcing support of Rs 6,000 per year to small and marginal farmers when it "wrote off" Rs 3.5 lakh crore loans of 15 big industrialists. Gandhi also reiterated that the PMO was directly involved in conducting negotiations with the French side on the Rafale deal. The Congress would ensure minimum income guarantee for the poor if elected to power after the upcoming Lok Sabha polls, he said. 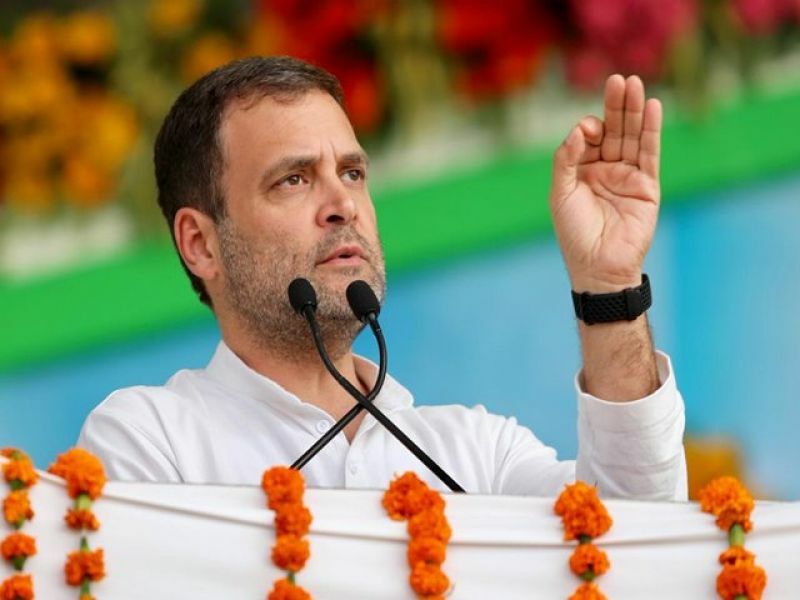 Addressing a Kisan Aabhar Sammelan (thanksgiving rally) here, the Congress president said that the BJP hailed the announcement of the cash support for farmers in the Lok Sabha when the interim Union Budget 2019-20 was presented. "They were hailing the decision, but announced only Rs 17 assistance per day to farmers. On one hand, the government wrote off Rs 3.5 lakh crore loans of 15 big industrialists, but gave Rs 17 per day to farmers. "If you divide that amount further, it comes down Rs 3.5 per person," he told the gathering. Madhya Pradesh Chief Minister Kamal Nath was also present on the occasion.